Sixty-four percent of patients in the study experienced treatment-related adverse events. 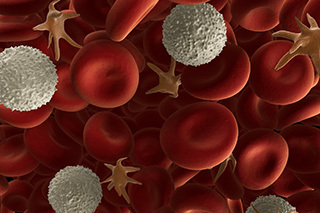 Ixazomib plus lenalidomide and dexamethasone administered twice weekly leads to good response and long-term outcomes for patients with newly diagnosed multiple myeloma (NDMM), but the regimen may increase toxicity compared with once-weekly dosing, according to a study published in the British Journal of Haematology. For this phase 1/2 clinical study, researchers enrolled 128 patients with NDMM and treated them with ixazomib 3.0-3.7 mg plus lenalidomide 25 mg and dexamethasone 20 mg twice weekly. 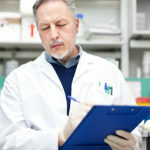 Sixty-four patients each were assigned to phase 1 and 2 studies, in which investigators evaluated the recommended phase 2 dose (RP2D), pharmacokinetics, safety, and efficacy. No dose-limiting toxicities were observed during phase 1, and the R2PD was set as ixazomib 3.0 mg. Among 62 evaluable patients in the phase 2 portion of the study, the confirmed overall response rate (ORR) was 94%, which consisted of 68% of patients achieving at least very good partial response, and 24% achieving complete response. The median progression-free survival was 24.9 months. Treatment response also deepened over a median duration of 36.9 months. Sixty-four percent of patients in the study experienced grade 3 treatment-related adverse events (AEs), including rash, peripheral neuropathy, and hyperglycemia. No grade 4 AEs were reported. Overall, 13 patients discontinued treatment due to AEs.